It has come up in the past where a website was down for me, but not for the rest of the world, or vice versa. I found a nice and super simple website that will check if it can view a page. That’s all it does! And that works for me. 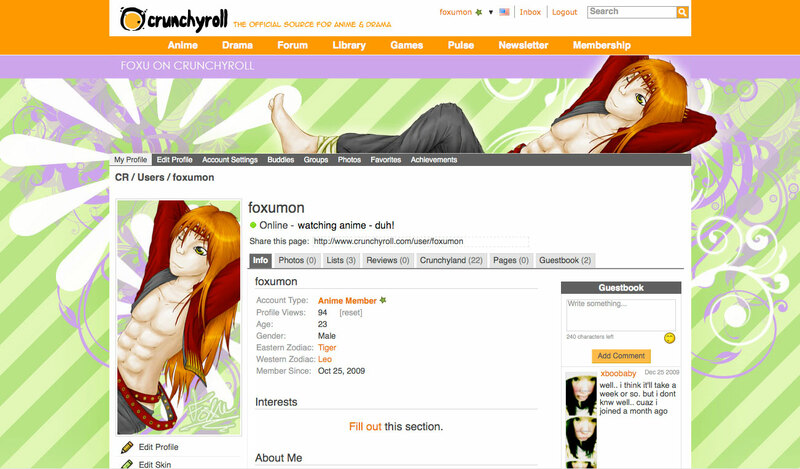 Presenting my design for my crunchyroll page!It’s based on another design I made for my Personal Gaia page. I really like how the pastel purple and green colors go together – I’m thinking of making them my “signature” colors. I end up using artwork I’ve done for other urposes or resuing the same piece over and over because of how much time it takes to daw somehting worth while.